Females spend more time and more money on mobile games, and are also more loyal to these games than men, a new report says based on a sample of successful games that reach a total of 1.1 million mobile devices. 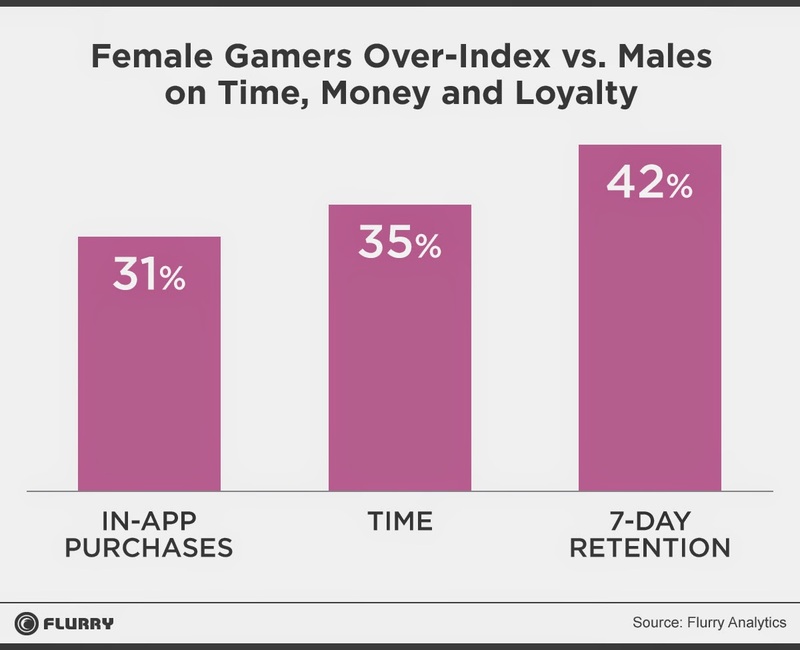 Women spend 35% more time in gaming apps than males, and make 31% more In-App-Purchases than men, at same time more loyal than men - women have 42% higher 7-day retention on average versus males. Said by Flurry, the mobile analytic company, measured on a worldwide basis. 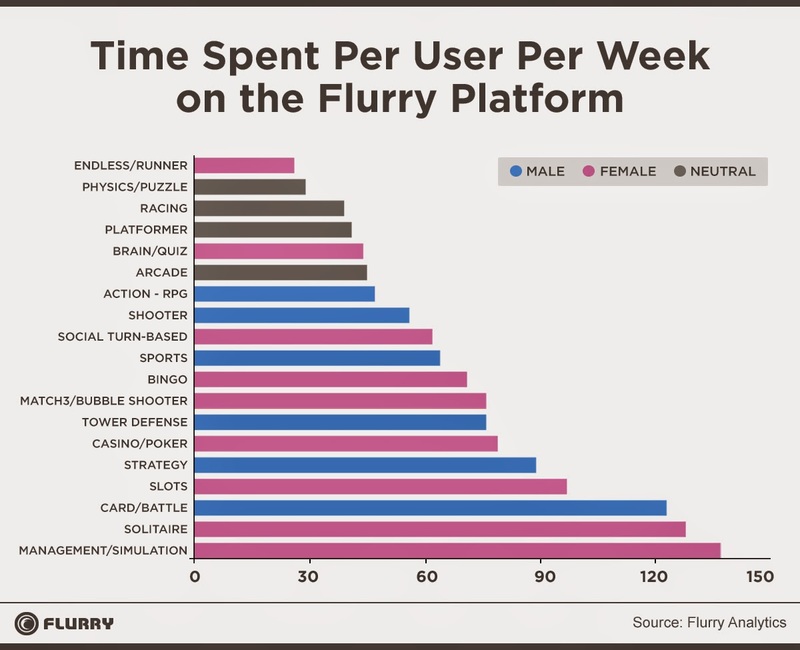 When looking at the weekly time spent for 19 categories of iOS games, nine categories skew female, including the top two categories form a time-spent perspective. Six categories skew male and four categories are split almost evenly between males and females. Males have kept their dominance in card/battle games, strategy, tower defense, sports and action/RPG.